Gnss IP.tech is a new formed company composed of experienced professionals with strong expertise in GNSS (Global Navigation per Satellite Systems) and real time embedded systems topics. Gnss IP.tech designs and develops high quality, industry standard and innovative GNSS specialized IP Core modules, applications and systems for Positioning, Navigation and Timing (PNT) professional applications, derived from intensive internal research and development activities, and packaged for being integrated in versatile computing platforms and embedded systems. In addition, our experts can be commissioned to provide advice and support to your projects in the form of consulting and engineering services, as well as to deliver professional training on GNSS technology topics. 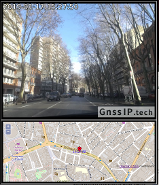 Gnss IP.tech is a trade mark of SAS Les Intelligences Naturelles, a joint-stock company registered under French law. Thank to consult the website legal notices to get more information about the company, or please contact us. QuaD-Rx GNSS Receiver IP A GPS, GALILEO, GLONASS and BEIDOU quad-constellation GNSS signal processing IP-core module for PNT systems.